The 6th MGS Entertainment Show (MGS), a three-day show from 13 to 15 November, was successfully concluded. This year’s MGS has made a number of breakthroughs and innovations. 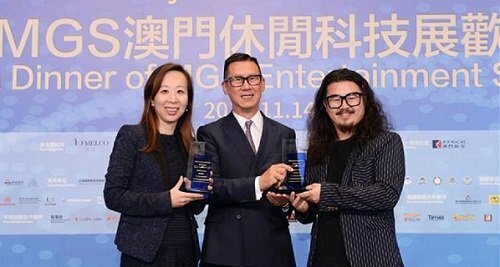 From the renaming, newly-added co-organizers, to the launch of local creative products and two summits with rich content, all of them have indicated the organizers’ dedication of introducing more leisure and technological elements and promoting Macau as a “World Centre of Tourism and Leisure”. 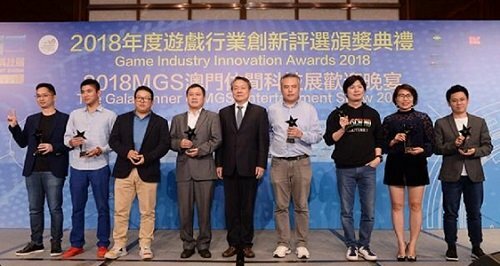 On 14 November, “The Gala Dinner of MGS Entertainment Show 2018 and Game Industry Innovation Awards 2018” took place at the Grand Ballroom of JW Marriott Hotel Macau. Multiple awards were presented on the spot to encourage creative and outstanding exhibitors. This year’s MGS has also made numerous of breakthroughs and innovations. As the organizer of the past five badges, the Macau Gaming Equipment Manufacturers Association (MGEMA) has gradually increased the proportion of leisure and technology elements of the show since last year due to the clearer positioning of Macau as a World Centre of Tourism and Leisure. This year it even cooperated with Nam Kwong Culture And Creativity Industry Co., Ltd. and China National Machinery Industry International Co., Ltd. to co-organize the 6th MGS.